But "Then" still keeps other character insane as the first one didnt go insane... i really cant think of worse way to put it in the FAQ. 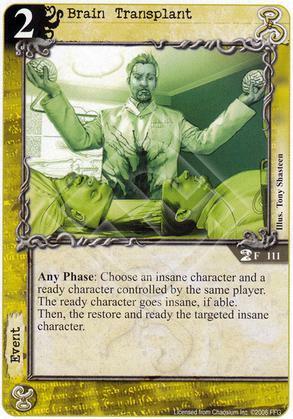 "Then", as used in card abilities, is shorthand for "if the previous effect was executed in full, then" (do something). It's less wordy than including the "if . . . then" statement in full, but I agree, it's not perfectly intuitive. Overall, though, it's a confusing card. We could do with fewer cards like this.